"Never seen anything like this before in my years being on the board." Permit compliance investments and rising O&M costs have led to steadily increasing sewer user charges. Unfortunately, a compliance-centric focus has often left efficiency as an afterthought. Aquasight believes that strong compliance and high efficiency can go hand-in-hand. Wastewater facilities have a unique opportunity to drive O&M savings and monetize thermal energy embedded in wastewater. Every $1 in recurring O&M savings creates an opportunity for $8-$10 in capital spending without user charge increases. Aquasight’s APOLLO creates savings and helps get the most out of wastewater solids. 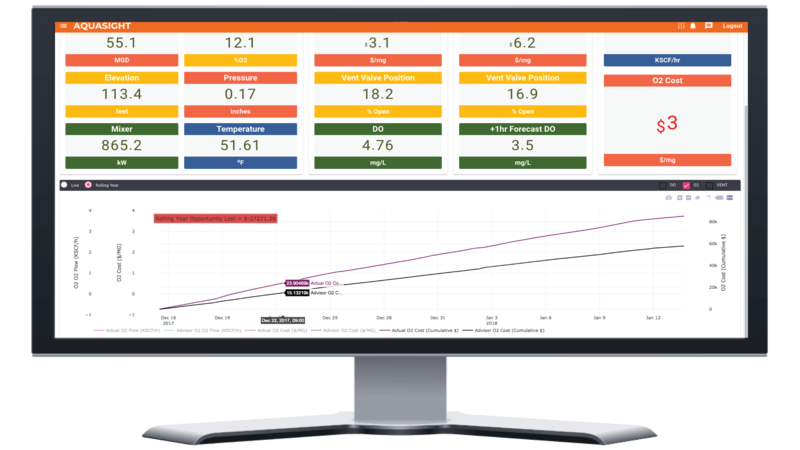 APOLLO features real-time performance insights into process conditions and delivers actionable advice on opportunities for efficiency gains. By combining powerful technologies with artificial intelligence, it mines complex webs of real-time data and chemical measurements. Advisory alerts are displayed in an intuitive interface that takes only minutes to learn. With APOLLO, utilities achieve enhanced control of O&M costs and easier permit compliance. 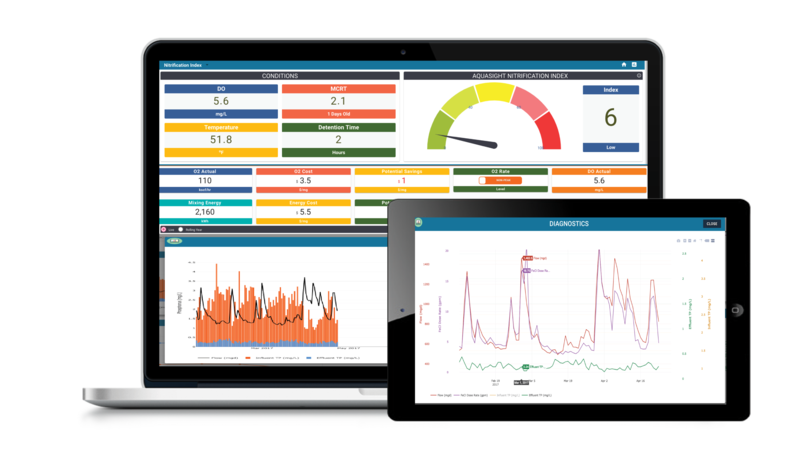 APOLLO’s built-in real-time advisors aid operators and management in improving efficiency. For example, the DO advisor assists operators in achieving optimal dissolved O2 concentrations by providing timely advice based on a facility’s existing array of live sensor data. Similarly, the Nitrification advisor monitors the degree of nitrification occurring in real-time. 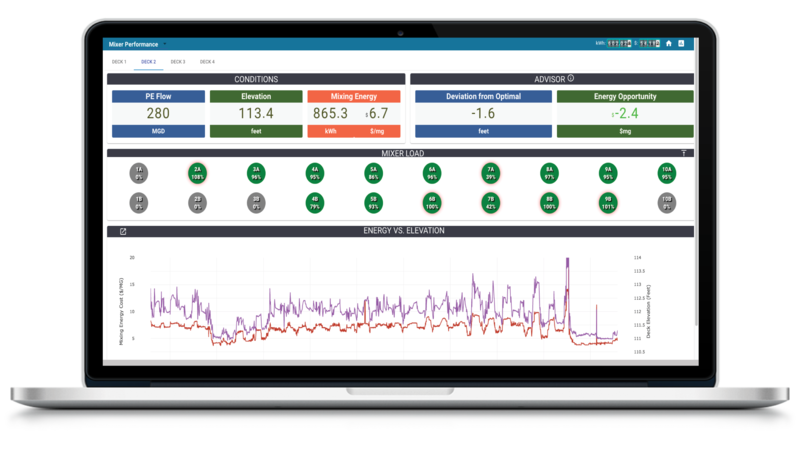 APOLLO provides real-time intelligence on assets including pumps, blowers and mixers and compares performance relative to design. It also provides advice on how best to operate these assets to keep them in optimal condition and avoid expensive repairs.